2. Assistant Engineer (AE) (Electrical) - 1. B.E degree in Electrical Engineering (or) its equivalent examination approved by the recognized University. 2. Must have experience for three years in the relevant field in any Government University, Government or Public Sector Institutions on casual / contractual / temporary basis. 3. Must possess adequate knowledge in Tamil. 3. Assistant Engineer (AE) (Mechanical) - 1. B.E degree in Mechanical Engineering (or) its equivalent examination approved by the recognized University. 2. Must have experience for three years in the relevant field in any Government University, Government or Public Sector Institutions on casual / contractual / temporary basis. 3. Must possess adequate knowledge in Tamil. Note: A copy of the relevant G.O. for the equivalent examination to B.E. (Civil /Electrical / Mechanical Engineering) should be produced. Pay Scale: Rs.37,700 - 1,19,500/- p.m.
8. 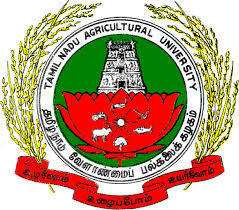 Hard Copies of the signed application (registered online) along with photocopies of (i) ID proof (ii) Proof of Date of Birth (iii) Educational Certificates: Mark-Sheets/Degree Certificate (iv) Caste and attested copies of relevant documents should be addressed to “The Registrar, Tamil Nadu Agricultural University, Coimbatore - 641 003” by Registered post with acknowledgment due or by courier mail or in person and the envelope containing the applications should be superscribed on the left corner as "Application for the post of Assistant Engineer" before 5.00 p.m. on 28.02.2018.